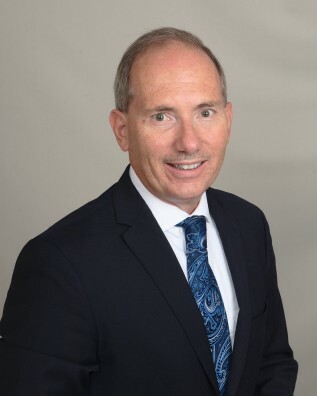 A veteran aerospace and commercial electronics executive with strong Department of Defense connections and strengths in integrating diverse organizations and driving execution has been selected as chief executive officer for the International Consortium for Advanced Manufacturing Research (ICAMR). Chester Kennedy, who recently retired from Lockheed Martin Corp. as vice president and chief engineer of training and logistics solutions, has more than 30 years of increasingly progressive experience at Lockheed and also founded and served as president of his own company, CK solutions, LLC. “Chester’s extensive experience in leading high-tech organizations and his reputation for connecting technologies and industries and building partnerships makes him the ideal choice to lead ICAMR into the next stage,” said MJ Soileau, vice president for research & commercialization at UCF and the interim ICAMR CEO. ICAMR, which will be housed in the Florida Advanced Manufacturing Research Center, currently under construction and scheduled to open in 2017 in Osceola County, is an industry-led consortium dedicated to creating the type of research facility companies need to develop smart sensor technologies. The smart sensors industry is expected to be worth more than $154 billion by 2020. Osceola County, the University of Central Florida, the Florida High Tech Corridor Council, Enterprise Florida and others have dedicated more than $162 million to develop the center. In September, Harris Corp. signed a letter of intent to be the first formal industry partner. “I am honored to have been selected to be a part of bringing this vision to reality here in Osceola County. We are building a world-class consortium of global partners (companies and universities) who want to be leaders in the next generation of microelectronics,” Kennedy said. As CEO, Kennedy will be tasked with building on ICAMRS’s early entry into the highly competitive smart sensor market sector and facilitating the partnerships required to help industry transition to the new era driven by the Internet of Things. He emphasized that his approach will focus on making it easier for targeted microelectronics companies, such as producers of sensors, processors and systems, to produce their products using cost-effective single chip manufacturing. Osceola County Manager Don Fisher said the search for the CEO was extensive. “Against strong competition, Chester was the unanimous choice of the recruiting panel. . . Since he is from Central Florida Chester fully understands and embraces what UCF, Osceola County, and ICAMR are trying to accomplish,” Fisher said. The Florida High Tech Corridor Council, with which Kennedy has also worked with closely over the years, also praised his selection. “With Chester’s leadership, ICAMR’s local and statewide impact will continue to grow as it supports research pioneering new technology,” said Randy Berridge, The Corridor president. Kennedy holds a bachelor’s of science degree in electrical engineering from the University of Tennessee and a master’s degree in business administration from the Florida Institute of Technology. He is an Associate Fellow of the American Institute of Aeronautics Astronautics, a Senior Member of the Institute of Electrical and Electronics Engineers, and is Vice Chairman of the Martin Federal Credit Union Board of Directors. He serves on Industry Advisory Boards for the University of Central Florida and the University of Florida. Kennedy has served by appointment of the Secretary of the Navy on the Naval Research Advisory Council.